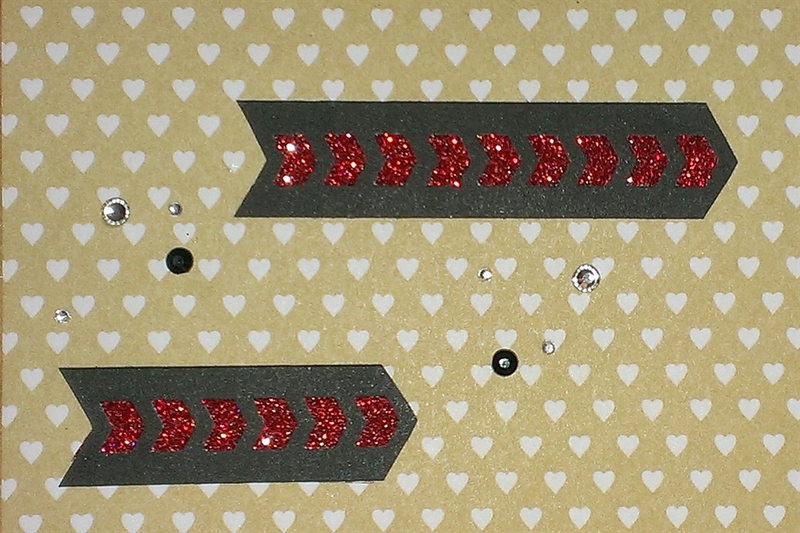 Lots of you are aware, but just in case you didn’t know… I LOVE Washi Tape. Not sure what Washi Tape is? Washi tape originates from Japan, it’s made of paper, but is not as delicate as you would expect. It comes in a variety of patterns and designs in either 1/2″ or 1″ widths. The designs feature coloured and opaque segments so the colour of the surface you put it on will show through the opaque sections. It features a low tack adhesive, making it repositionable and will stick to most surfaces so it’s not limited to paper crafting. You can cut it or tear it making it super easy to use. Washi tape is typically made from natural fibres, such as bamboo or hemp, but most commonly from the bark of trees that are native to Japan — the mulberry, the mitsumata shrub or the gampi tree. Most Washi tapes are strong as well as pretty, making them perfect for both functional and decorative use. Everyday I learn of more and more uses for this versatile little wonder. 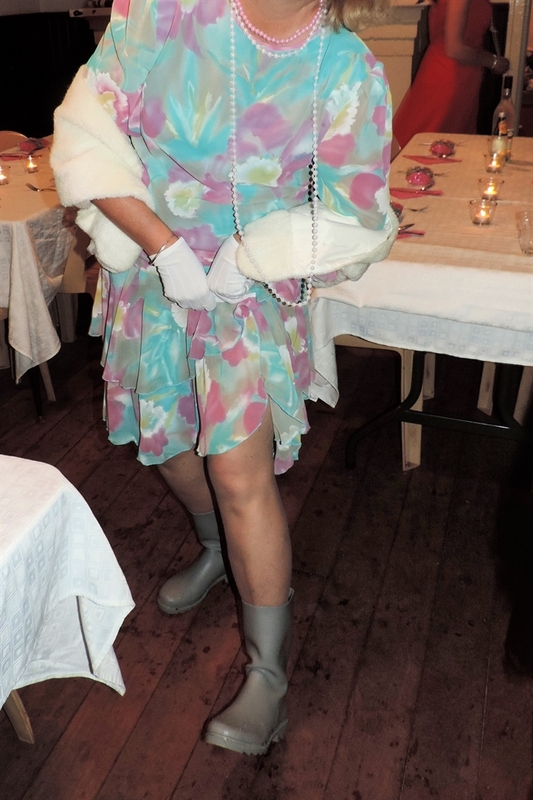 One of our Duchesses wore Duchie Gumboots with her outfit on the weekend. “Gorgeous AND practical”, we all thought. Mysteriously, they were taken from outside the hall on Saturday night and the poor lady had to walk back to her cottage bare foot! 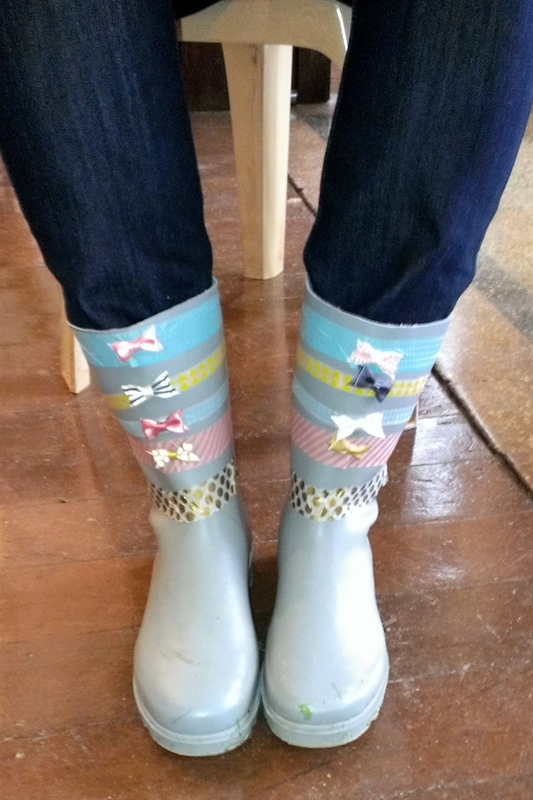 Turns out it was the Washi Tape Fairy… she returned the boots the next morning, looking splendid with their Wonderful Washi accessories. What do you have that could do with a little brightening up? Check out our range of Washi Tape designs by clicking here. We have more being released TOMORROW so be sure to check back on my website in the morning. 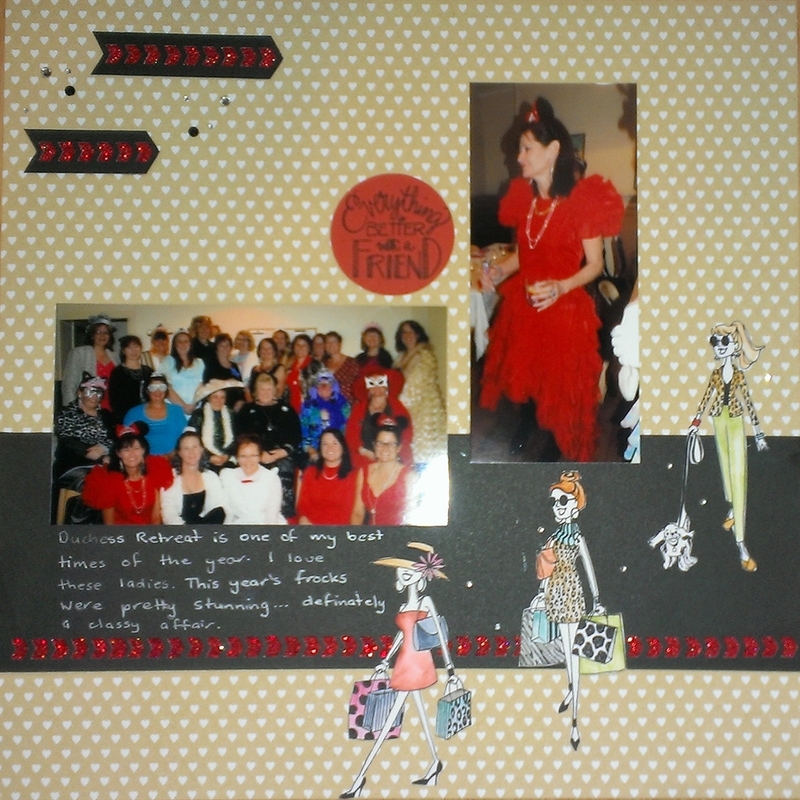 I had the great pleasure of running my 12th Annual Duchess Retreat for 24 ladies this past weekend. My sister runs it with me and we treasure this time together. We proclaimed ourselves Duchesses 12 years ago when we decided our camp would be based on a series of challenges, like the Duke of Edinburgh Awards. The challenges can be simple but there are always a couple that stretch croppers skills just a little (or a lot if you ask some!). I look forward to this weekend of creating, laughter and hijinks as much as my customers and team members do and always arrive home on a high, love cup overflowing and so thankful to have such fabulous women in my life. This year my good friend, Rose, was our chef and we enjoyed homemade gourmet treats all weekend. Friday night is always Frock Night and the ladies excelled this year, scouring op shops across Australia for frocks with just the right level of hilarity. I kept the layout simple so the Duchess outfits could shine. You will notice 2 products that aren’t in the current ideas book. The Better with a Friend Stamp Set is in our NEW Ideas Book launching August 1 and is one of the Exclusive Hostess Rewards stamps. 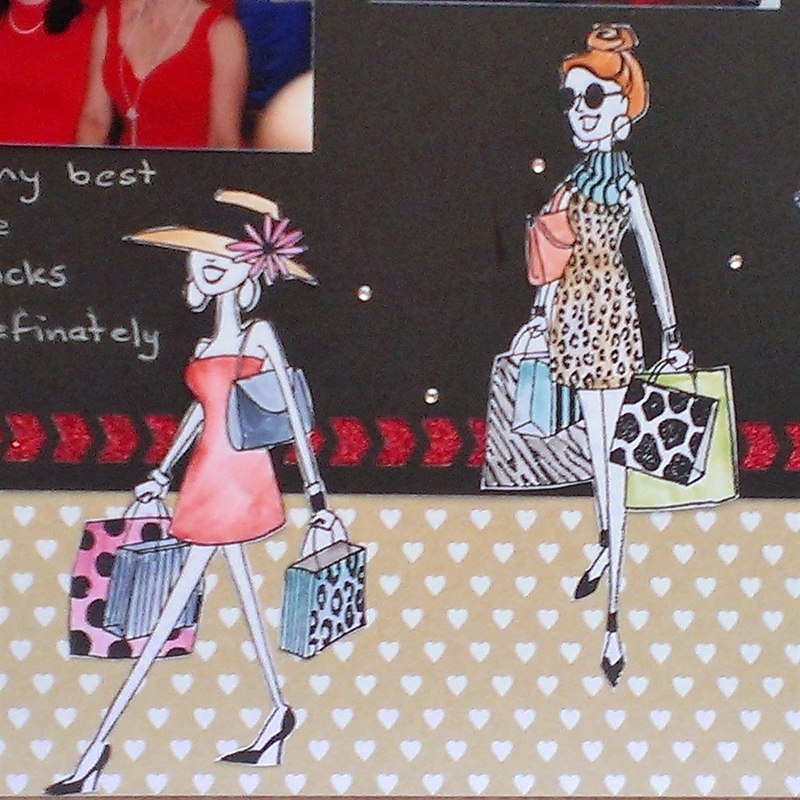 These glamorous gals are coloured using the blending pen (3174) and Exclusive Inks. I’d love to show you how. Why not invite a few friends over for a free class to play with this set and then you can purchase this stamp set with your Hostess Reward dollars. 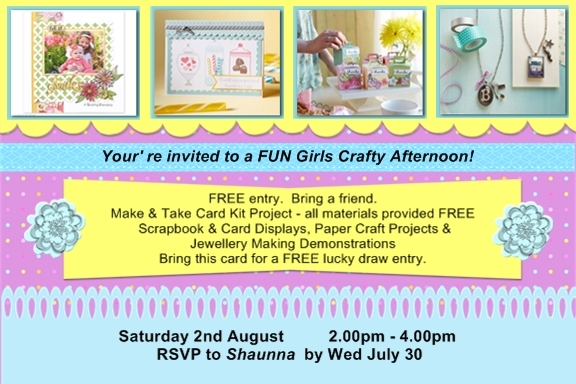 If you would like to see the range of new products, we’d welcome your attendance at our Perth New Product Launch and crafty afternoon this coming Saturday. Comment below or contact me for address details. You are most welcome to bring a friend. I have just returned from attending the Close To My Heart Convention in Anaheim, USA. My head is spinning! 1000 enthusiastic consultants gathered, learnt and created together with the 45 Aussies who made the treck over there. 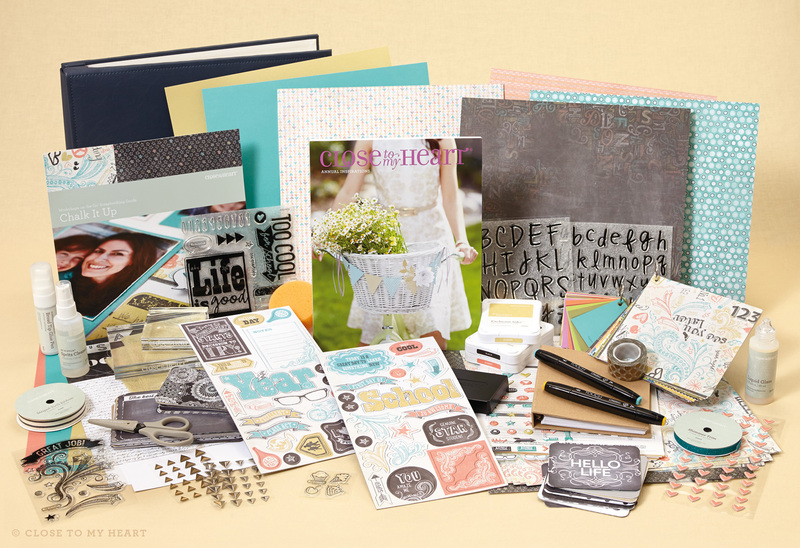 This is our New Consultant Kit for Scrapbookers. When you join CTMH this month, you can get brand new product from the upcoming Annual Inspiration Catalogue! This kit is designed for those of you wanting to scrapbook with friends and family. Your business can be a hobby or a career – it’s up to you. The kit costs $130 and includes an array of NEW products plus the basics you need to get your business going. Click here for more information. Not interested in scrapbooking? Then you may prefer the New Consultant Kit for Cardmakers. 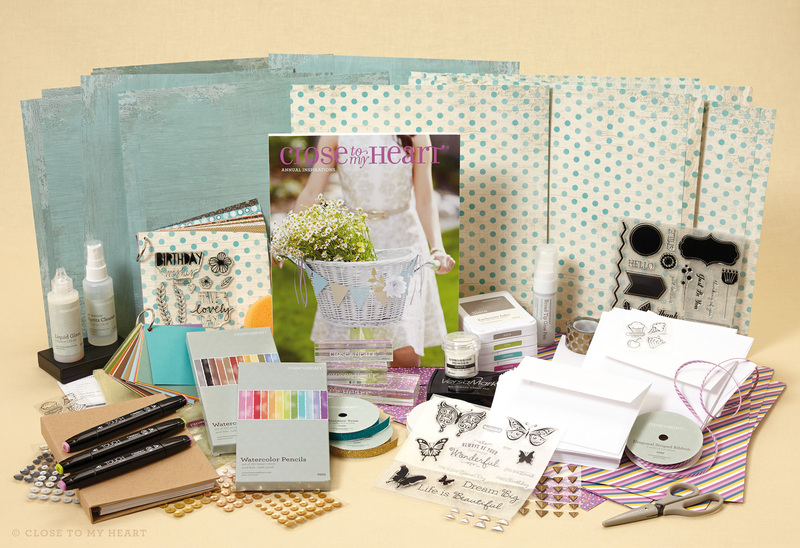 This kit has lots of goodies to keep your creative juices flowing. It also costs just $130. Got a couple of friends who enjoy paper crafting? Join today and invite them to create and shop with you. What have you got to lose? Click here for information. My team of Dazzling Duchesses are a warm and supportive group of ladies fitting their Close To My Heart business around work, family and travel. We all enjoy discounted products and love helping others with their papercraft projects. Won’t you join the fun? 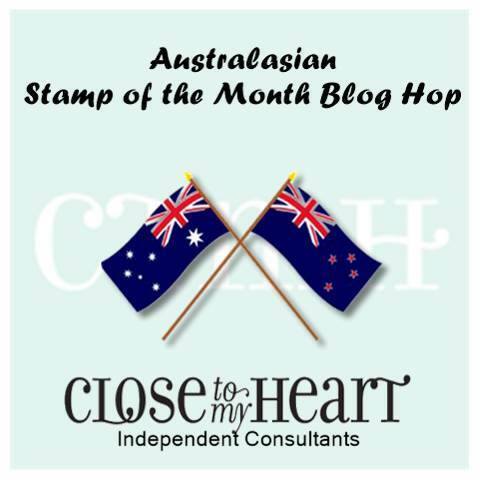 Welcome to another Australasian Stamp of the Month Blog Hop. 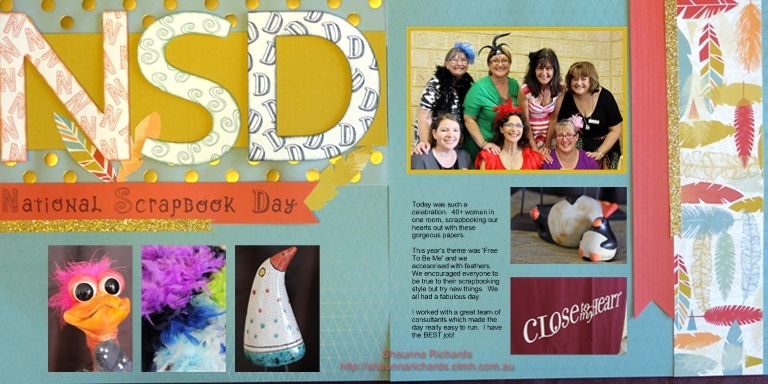 If you arrived here from Denise’s Scrap Stamp Share Blog you are in the right spot. If you happened upon us accidently, WELCOME to the hop. Once you’ve checked out my post you can click on the link at the bottom to the next blog on the tour. Eventually you’ll end up back here. Enjoy! This month’s stamp set is the whimsical, Circus Alphabet – a great accompaniment for any scrapbook page. 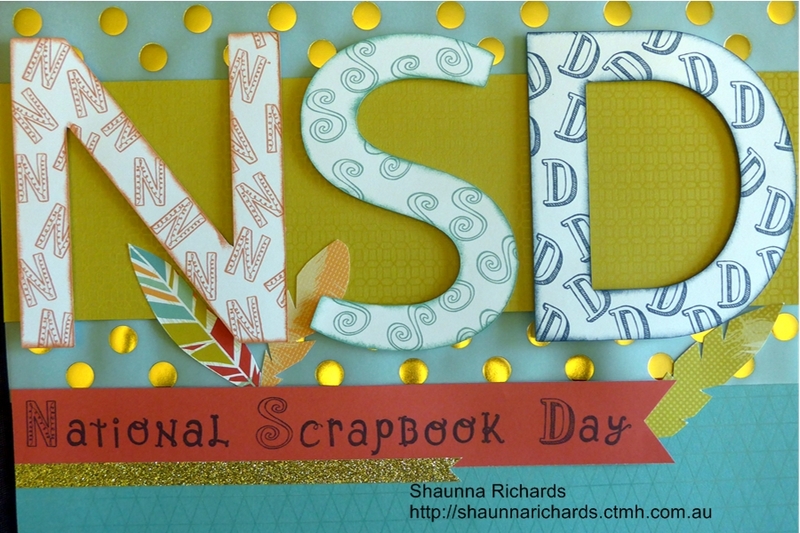 This is the first page of several about our National Scrapbook Day so I wanted the title to be really bold. I cut the white letters on my Cricut and then stamped the same letter randomly over each. The Circus Alphabet Stamp of the Month is only available during the month of July. Full retail price is $24 (S1407) but why pay that much when you can get it for just $5 with a $75 order? This month is your last chance to purchase the paper collections in our Feb- July Ideas Book. Take a look at our list of retiring product here to make sure you order all the items on your wishlist. Now hop over to Mandy’s Hall of Indulgence Blog to see what she has created.